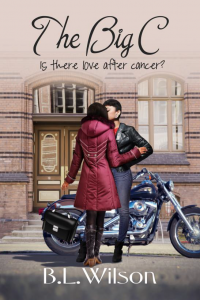 In The Big C, is there love after cancer? Sloan Watson, confirmed female lothario, meets her match when she finds a new employee, Attorney Anita Davis, bent over a toilet bowl early one morning. Anita confides a terrible secret about her health to the tall, good-looking maintenance person, who doesn’t know what to make of the beautiful woman’s secret, but she wants to know her name. Anita is attracted to Sloan as well, but has too many complications at home to act on the attraction. Fate keeps throwing the two women together and Sloan finds herself caring for Anita despite her vow not to become involved, as she is carrying past baggage of her own. Can Anita overcome her initial distrust of Sloan’s playgirl personality and allow her to help her get through the difficult battle she has ahead? Will Anita allow Sloan into her life once the medical crisis is over? Will Anita have the courage to walk away from her destructive home life and find the happiness she deserves? Will she survive the devastating effects of The Big C? Pre-order date: 9/23/16. Release date: 10/2/16.